Dr. Chandler is excited to bring his training and expertise in general orthopaedics and complex shoulder and elbow injuries to the Guilford Orthopaedic and Sports Medicine Center team. A graduate of the University of Pittsburgh School of Medicine, Dr. Chandler is proud to have subsequently gained his surgical training from world leaders at highly-regarded, high-ranking orthopaedic facilities. 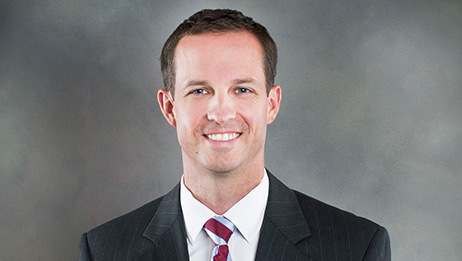 Following medical school, Dr. Chandler completed his orthopaedic residency at the University of North Carolina Orthopaedic Surgery. In his last year of residency, he was awarded “UNC Chief Resident Research Award” Following residency, he completed his fellowship at the highly prestigious Rothman Institute in Philadelphia, PA. He has been married to his wife Nicole since medical school and has two daughters, Madeline and Lily. He enjoys running, biking, hiking and playing golf. View Dr. Jesse Chandler patient reviews from Google.